By "mainstream cultures" in this context, I mean most cultures at the ethnic or country level include the ruler-ruled paradigm. It's usually covert because it's easier and cheaper to rule people who believe they're free. The Four Core Social Classes of Mainstream Cultures are owners, maintainers, producers, and escapees. These core classes are inter-active; for instance, a person can be one half owner class and one half maintainer class. - The owners are a hyper-elite seeing all others as near-insects. Facts such as these elites’ numbers and identities is almost wholly unknown by those outside their circle. For instance, the Rothschild family of banking fame may have been using body doubles for centuries. - The maintainers include but aren't limited to professional politicians, government workers, government-linked organizations such as corporations. The incarcerated and the multi-generationally Government dependent are trapped maintainers because their status justifies ever-bigger Government and demonstrates Government power/terror to keep producers in line. - Producers are those individuals paying for the owner and maintainer classes to be parasites. - Escapees are those whom are both non-parasites and non-payers for parasites. The only 100% escapees (if any) are those truly off the grid, which means not you if you're reading this. I consider myself a partial escapee because of my escapee brain/mind; but physically I'm involuntarily on the grid. Unless your parents never put you on the grid, probably the only way to 100% escape is to perfectly fake your own death. - As of this writing I'm 66 and merely within the last year I profoundly as opposed to superficially asked myself about the difference between objective and subjective. - I've been economically productive enough to have raised two families, so I'm a case study of how everyday people are dumbed-down to be producers but not critical or free thinkers. 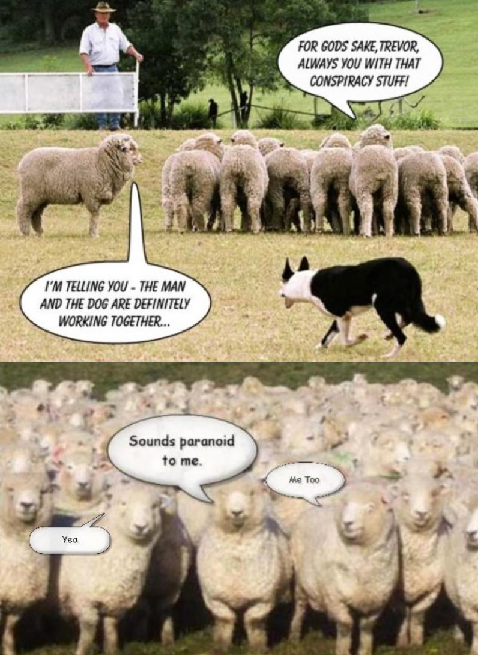 - Through both conspiracy and social inertia, the owners socially engineer everyday people to use critical thinking in a narrow area of our minds/brains, but only within the area that allows us to be productive and thus easily sheared and butchered -- unlike other forms of livestock, we shear and butcher each other to save our owners the trouble. "There is a dubious new addition to the Forbes 2015 America’s Richest Families list. The Sackler family, which owns 100 percent of Purdue Pharma, amassed the 16th largest family fortune in the U.S., estimated to be worth $14 billion dollars. What makes this distinction dubious is the fact that the Sackler’s built their fortune by peddling the highly addictive, and often deadly, opiate painkiller OxyContin as a supposedly non-addictive version of oxycodone, labeling it as "abuse resistant." In a seemingly methodical manner, Purdue Pharma, under the guidance of brothers Arthur, Raymond, and Mortimer Sackler, began a propaganda campaign to push their new drug, as described in The American Journal of Public Health, "The Promotion and Marketing of OxyContin: Commercial Triumph, Public Health Tragedy." "Perhaps knowing that doctors would be vigilant against prescribing drugs with the potential for abuse, Purdue set out to distinguish OxyContin from rivals as soon as it dropped. The cornerstone of its marketing campaign was the drug’s incredibly low risk of addiction, an enviable characteristic made possible by its patented time-release formula. Through an array of promotional materials, including literature, brochures, videotapes, and Web content, Purdue proudly asserted that the potential for addiction was very small, at one point stating it to be "less than 1 percent." But what about the claims that the drug was "abuse resistant?" To add insult to injury, in 2007, in United States of America v. The Purdue Frederick Company, Inc., the company plead guilty to misleading patients and doctors about the addictive nature of the drug. Prosecutors cited a "corporate culture that allowed this product to be misbranded with the intent to defraud and mislead." Jay Syrmopoulos is an investigative journalist, free thinker, researcher, and ardent opponent of authoritarianism. He is currently a graduate student at University of Denver pursuing a masters in Global Affairs. Jay’s work has been published on Ben Swann’s Truth in Media, Chris Hedges’ truth-out, AlterNet and many other sites. You can follow him on Twitter @sirmetropolis, on Facebook at Sir Metropolis and now on tsu."